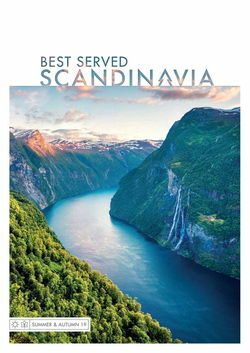 Spring is a superb time to visit Scandinavia. Longer days, crisp air and blooming flora usher in a palpably optimistic vibe for the summer months ahead, while the lack of tourists – and the resultant availability of sought-after accommodation – makes up for any slight chills. For many, Norway is at its most beautiful in spring. Trees and flowers bloom, the baying of lambs keeps farmers busy and there's an air of enthusiasm, thanks to a series of public holidays. 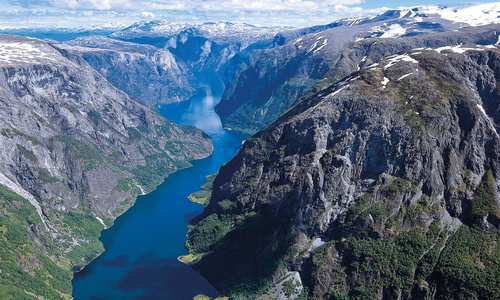 The Hardangerfjord region is a particular favourite, resplendent in colourful cherry blossom each April. And, in May, the streets come to life with celebrations for the Norwegian Constitution Day, best experienced with the colourful parades that wend through Oslo's streets. 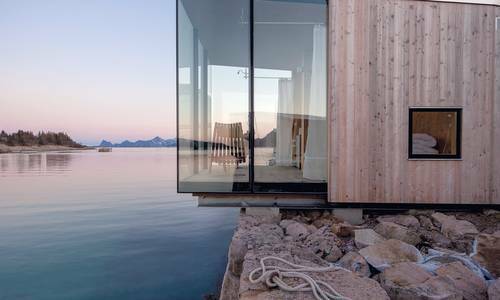 However, for the best of Norwegian spring, take in its spectacular fjords. Awakening from their winter slumber, their imposing cliffs and glassy blue waters are beautified with bright-green verdure. Explore on epic road trips or impossibly scenic cruises. 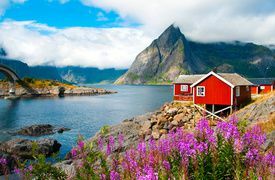 But, you don't have to take to drive or sail to see the pretty Norwegian countryside, with its city greats – Oslo and Bergen – linked by one of the world's most impressive rail journeys. Spring is your chance to experience Iceland's iconic snowy landscapes but with more agreeable temperatures and pockets of green peaking through. Gorgeously scenic road trips bring you around its circumference, taking in creaking glaciers, stunning volcanoes and waterfalls swelled by the spring melt. But, the season also brings with it flocks of migratory puffins. Returning to breed, Iceland quickly becomes home to around 60% of the world's Atlantic puffins, best taken in on boat tours that depart from the north. You'll even have a near-100% chance to spot whales and dolphins from mid-April. Early spring sees Sweden's rainfall at its lowest as temperatures start to rise. And, no more is this true than in the south. 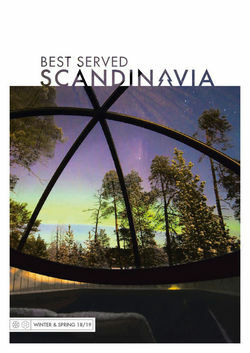 A favourite holiday spot among Swedes, this is a perfect time to avoid the summer crowds. Start with Gothenburg's neoclassical charm, criss-crossed by trams and canals, before moving out to discover quaint fishing villages formed of bright red weatherboard houses. You'll also be able to stay in idyllic country villas to explore the country's verdant interior. Spring, in Finland, is all about the wildlife. After the long Finnish winters, many of the country's iconic animals awake, hungry from their hibernation. This means you'll often find the likes of bears, lynx and wolves at their most active. For the best wildlife spotting, head to the Russian border where you can stay in hides tucked away among the wild, boreal forest. It's a truly immersive experience, camping out and waiting for a glimpse of the rare brown bear. There's also the chance to explore with bike rides through forest trails and rowing boats that bring you across shimmering lakes. Denmark, thanks to its comparatively southerly latitude, enjoys perfectly delightful springs without the high-season popularity. Sweeping country drives see you across its islands, taking in rolling farmlands, historic castles and quaint villages. It's all beautified by blossoming flowers and trees putting on their green spring coats. Showcase this rural ideal with nights spent in family-owned inns, grand country estates and half-timbered farmhouses that date back some 250 years. For something more off the beaten track, make a pilgrimage out to the Faroe Islands. Comprising 18 islands, you'll link its rural delights with dipping tunnels, scenic ferry rides and pretty coastal routes. Along the way, stop off at everything from turf-roofed houses and woollen handicraft shops to remote sea-cliff walks and welcoming fishing villages. What's more, the month of May sees the least rainfall.